The ECO-2+ is fully TUV SUD approved. The “Chain-End Modification”technology used in syathetic rubber strengthens fuel saving and traction. HA-oil-free formula for all sizes conforms with EU environmental protection laws. Central sub grooves with shallower depth enhance vertical/lateral block stiffness to avert block deformation and further reduce energy consumption. Shoulder groove bottom with big angle retains shoulder block continuity, weakens block wriggling, and reduces energy consumption. 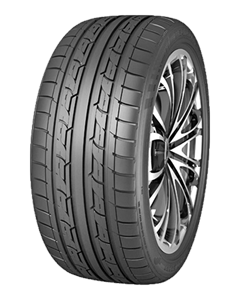 Two section lateral grooves on shoulders profile prevent uneven tread wear and enhance traction. Four circumferential grooves enhance drainage performance and safety on wet roads. Centeral rib design reinforces straight driving and handling performance. Circumferential rib design on tread shoulder, with thin sipes instead of run-through lateral grooves, prevents groove resonance.